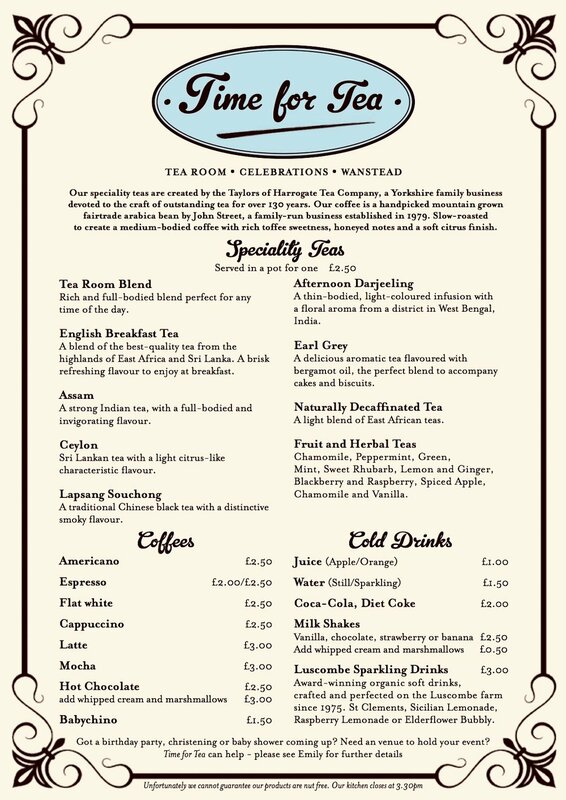 Welcome to Time For Tea - our traditional English tea room in Wanstead, East London. We are a family run business with a passion for home cooked food, cakes and desserts. 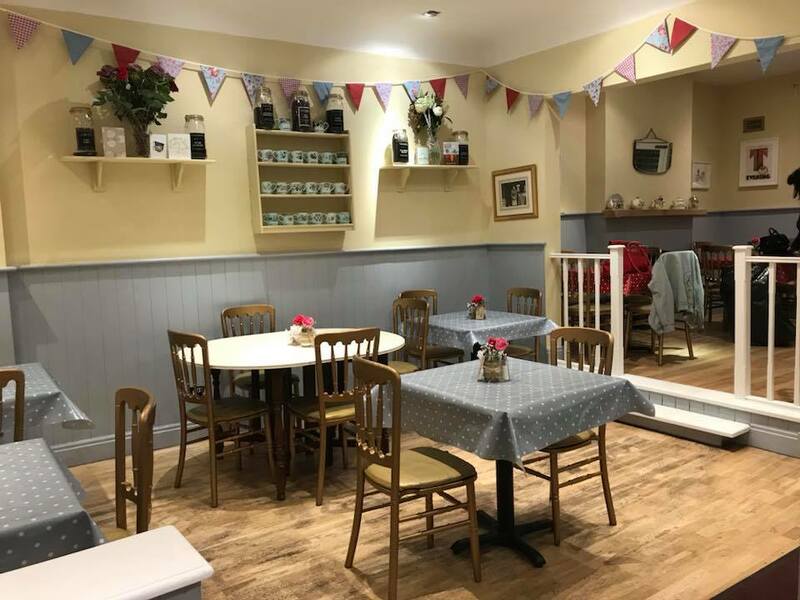 Come in for a very warm welcome in our dog friendly tea room and try some of our home-made cakes, have a spot of lunch or a pot of our highly acclaimed Taylors Of Harrogate range of loose leaf teas. Why not reserve a table for one of our traditional tiered afternoon teas which must be booked at least 24 hours in advance. We have two different packages available to suit all your needs, perfectly for an occasion or just as a treat - because you deserve it! A special treat with friends or loved ones. Enjoy a bottomless pot of tea or coffee and a classic selection of dainty finger sandwiches, two scones with clotted cream and artisan jam and a assortment of homemade cakes. For those with a sweet tooth. Forget the sandwiches, we know all you really want is to get straight to the good stuff. Enjoy scones with clotted cream and artisan jam, and a assortment of homemade cakes. All washed down with a bottomless pot of tea or coffee. Got a birthday party, christening or baby shower coming up? Need a venue to hold your event? Time for Tea can help make it a special day. The tea room can be hired for private events outside opening hours. Let us take care of the tea and arrange a beautifully decorated room to suit the occasion. We can even provide an entertainer to take charge of your child's birthday party. Princess and pirate parties are our speciality! Please see Emily in the shop for further details, or you can send us a message using the contact form at the bottom of this site. Before Time for Tea, Emily has spent the last 10 years working as a professional actress and singer internationally. With nearly 5 years experience as a Disney princess and party entertainer this means our children's parties are hard to beat. Whichever character your child adores, you can make their dreams come true and bring to life their favourite fairytale character in our venue. With singing, dancing, balloon modelings, face-painting, games, prizes and so much more we can custom everything to your child's interests. Take out the stress and avoid the mess! We provide the food, venue and entertainment so you can sit back and enjoy yourself as much as your little ones. Come talk to Emily and tailor make your a special party for your special one. We don't just sell cups of tea, no no no, we hold weekly, monthly and yearly events for you to get involved in - young and old! From encouraging our rising local authors to showcase their work in story time mornings or our golden oldies enjoying learning something new in our knitters group, we aim to keep our community together. Every fancied learning to knit? Do you have a craft you wouldn’t mind teaching? Just fancy a natter and a nice pot of tea? Come along and join us every Tuesday morning from 10am till 12pm. 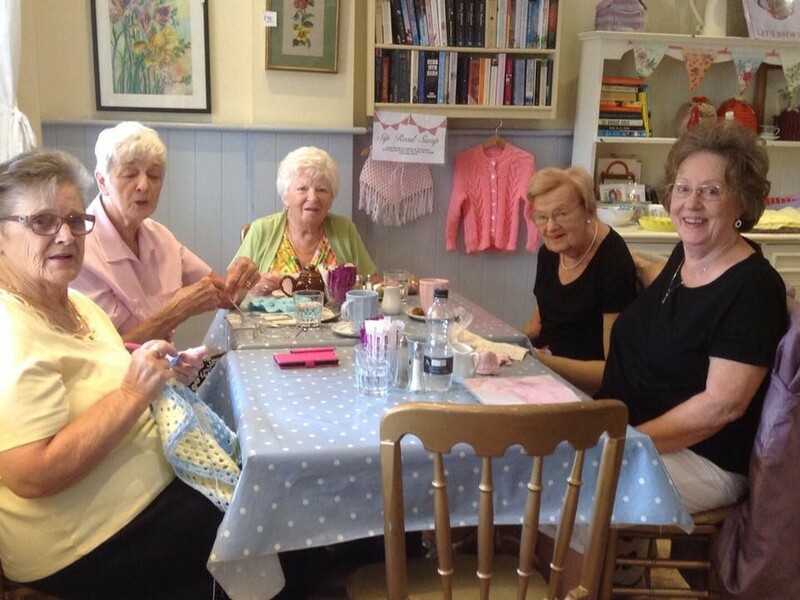 Meeting since 2014, our knitters have been spending their mornings hand crafting beautiful gifts such a Blankets, cardigans, baby hats and booties and even the wonderful tea cosies you find in the shop! If you ever need something to do on a quiet week day morning with your little one then Time for Tea is the place to be. We have recently started morning activities once a month, using Emily’s contacts in the arts with young authors, puppeteers, bakers, story tellers and actors we can entertain your little one for a few hours while you get to sit relax, meet other mums, enjoy a hot cup of tea and a home baked slice of cake. Look on our Facebook page for upcoming events. After our first character breakfast in December being sold out in only 5 days and being asked already ‘When will the princesses be back?’ We can say we will definitely be bringing this back in 2018. With afternoon tea and lunch service being served all day by your favourite princesses and pirates, come and join us for cupcake and biscuit decorating, balloon animals, glitter tattoos and appearances from special seasonal guests. We guarantee your little ones will have a magical time that they won’t stop talking about for months on end! Most of the art you’ll find around the shop has been created by my very talent cousin, Rae Henry. After graduating from Middlesex University in 2012, she opened her own design company. Taking inspiration by all things alternative and with a love to create something a bit different from the norm. Her product range expanded from greetings cards to wedding stationery. We'd love to hear from you. You can also call us on 020 8989 2299 to book a table or afternoon tea or find out more about our events, room hire and kids parties.